Prospective residents of retirement home units can manage to avoid troublesome surprises by taking the time to understand the fine print of their multipage contracts. Here are five questions to ask before signing on the dotted line. Potential residents should get input from trusted family members or friends and perhaps a lawyer about their decision to find a retirement facility. Prospective residents of retirement home units can manage to avoid troublesome surprises by taking the time to understand the fine print of their multipage contracts. People need to understand how important choosing a retirement home is, says David Harvey, Alzheimer Society of Ontario's chief public policy and programs initiative officer. "It's as important as buying a house or renting an apartment." Here are five questions to ask when making that important decision of where to spend your golden years. How reputable is the home? Harvey suggests that potential residents get input from trusted family members or friends about their decision to find a retirement facility. When visiting a potential home, retirees should come ready with lots of questions. People should check for a clean environment, respectful staff and nutritious food, among other things. Harvey recommends consulting checklists from organizations like Alzheimer Society Canada or the Advocacy Centre for the Elderly to know what to ask when touring homes. Concerned Friends of Ontario Citizens in Care Facilities offers an 81-point checklist. Those considering a new home should check a company's reputation by chatting with past or present customers, and checking to see if it belongs to an accredited association, says Harvey. Beware of deals that seem unbelievable, he says, as there are some greedy and desperate retirement home operators. "A promise to care for you for life for a simple down payment and a monthly fee is too good to be true," he says. People should not shy away from financial questions. They need to know exactly how much services cost, how they can terminate a lease and what financial penalties may apply after ending a contract early. Rental retirement properties have different regulations depending on the province or territory, says Judith Wahl, Advocacy Centre for the Elderly's executive director and senior lawyer. Some are governed by their provincial or territorial residential tenancies acts. If a resident either moves to a different home because they need more assistance or dies, Ontario landlords are required to try to find a new tenant for the vacancy. They can also only charge the old tenant for 10 additional days of meal and care costs, regardless of how much time was left on the lease. Prospective residents also need to consider inflation, she says. Retirement homes have different rules about how often they can increase rent or care rates depending on where in Canada they're located. In Ontario, landlords can raise rent once a year — generally by a percentage predetermined by the government. But they can raise service fees more frequently, so long as residents receive 90 days' notice. "Can you afford to live there for the rest of your life?" says Wahl. 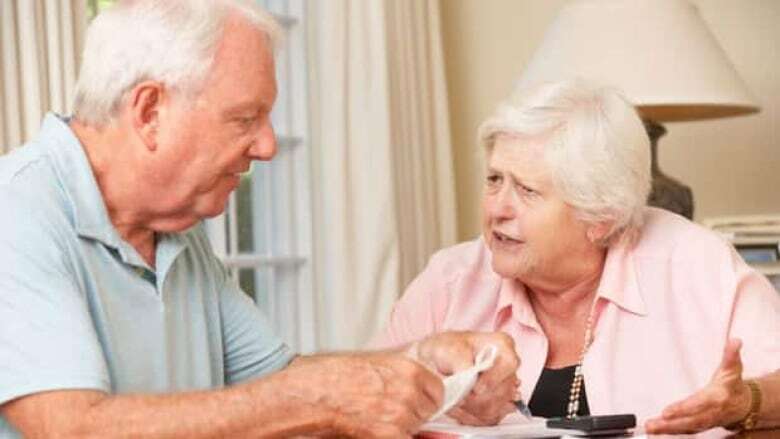 The Advocacy Centre for the Elderly suggests asking staff how frequently meal and service charges increase, when they were last raised and if the home is willing to freeze fees for a period. What level of care will I need? One thing people often don't realize is that retirement homes have no obligation to care for residents until they die. "They don't have to take care of you forever," says Wahl. People looking to move into a retirement facility must be "a good consumer" and research what services it provides. Then they'll know if the offerings match their needs and won't cause surprise if their condition becomes too much for staff to handle. Each retirement home only provides a certain level of service. The cap depends on each facility. Once a person's needs outgrow the home, it can ask the person to move out even if they've signed a contract. Before signing a contract, it's a good idea to consult a lawyer, says Harvey. A lawyer can ensure everything the facility promised verbally is included in the fine print. Lawyers can also make sure the contract separates payment details for housing needs and care needs, like meals or housekeeping. If the resident's care needs change, then those services aren't tied to the housing contract. People looking to purchase a residence in a retirement home should see a lawyer, says Wahl. A lawyer can explain all the fine print and help negotiate unwanted clauses. In a rare example of how things can go wrong, a CBC Go Public investigation found the families of two seniors stuck paying high monthly service fees after one elderly owner moved out of their purchased retirement residences and the other died. A legal consultation before purchasing could have explained that contractual obligation. It's not very common to buy property in a retirement home, says Wahl. However, for people considering buying, she and Harvey agree that it may be smarter to rent. If buying, retirees need to be able to successfully negotiate their contract to stipulate they won't have to continue paying service fees if they have to move to a higher-care facility or their family won't have to pay their fees if they die, says Susan Eng, vice-president for advocacy of the Canadian Association of Retired Persons (CARP). For all three experts, the most important thing seems to be doing lots of research and knowing the fine print. "You are in a pure contract arrangement, so you better do your homework now and know what you're getting into," says Wahl.